Summer came with a vengeance! We hope you’ve been enjoying the warm weather in safety and comfort. 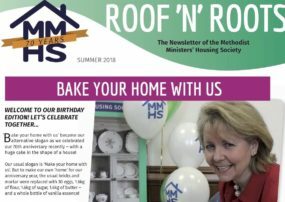 Meanwhile, we’ve been celebrating our 70th anniversary in wild and wonderful ways – including a bumper eight-page edition of Roof ‘n’ Roots! how to make the most of our free worship resources for you and your church.